Hemapro is a hemorrhoid relief product that uses hype as its marketing strategy, with strong, emotion inducing buzzwords such as extraordinary. However, relief from the itching, burning and discomfort associated with hemorrhoids cannot be written. We decided to take a look into Hemapro and see what it actually has to offer. Hemapro is claimed to contain all natural, top quality herbs that have therapeutic or healing properties. The claim that they are all 100% effective as well as safe is also made. This is the first red flag, as even the top, leading products know that no treatment is 100% effective. 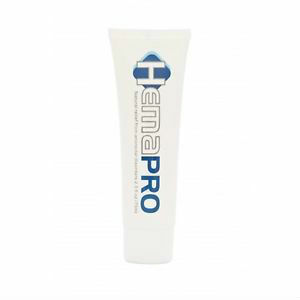 Hemapro’s formula is a secret, as no information on its formula was available. Aside from not publishing any information on their secret formula, there was also no dosage information found. This product is offered with a price tag of $229, making it one of the priciest products on the market. For this price you get an entire years worth of the product. They do offer a 100% money back guarantee. However, there is no information available describing how to have that guarantee honored. Hemapro is nowhere near a good enough product if they are are unwilling to provide detailed information as to the ingredients of their product. There is no way to determine the effectiveness of Hemapro. John Parker	reviewed Hemapro Hemorrhoid Relief	on October 22nd	 and gave it a rating of 2.5.